If you’ve never experienced an iceberg before, you might assume that they are silent, bobbing solitarily in the ocean. 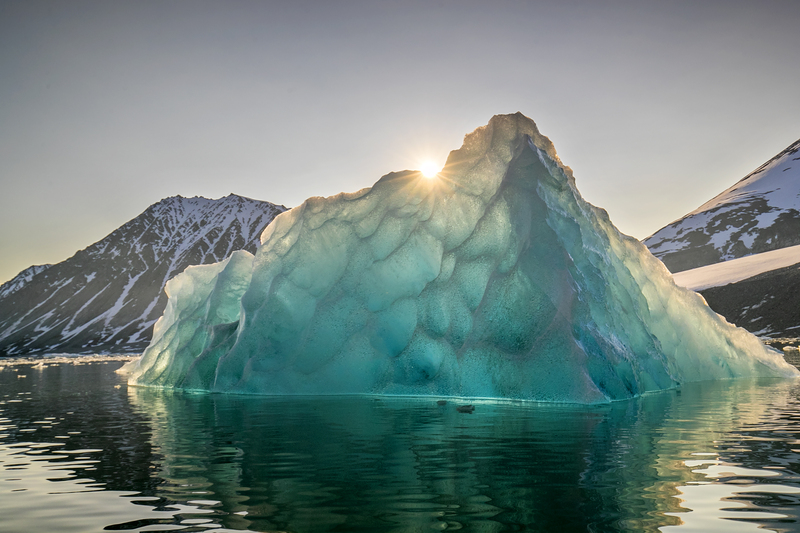 In reality icebergs can be loud, crackling and popping, crunching and even rolling into one another. 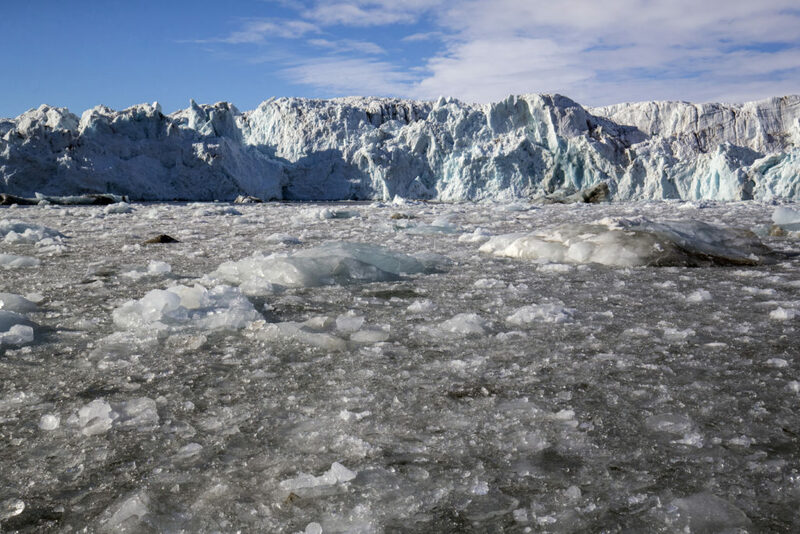 When a glacier expands and “calves,” it makes an explosive “bang” as a giant chunk falls off into the water, forming a new iceberg. Ride an inflatable Zodiac among them and the sounds grow, emanating from tiny air bubbles trapped thousands of years ago and then suddenly released into the air around you. Floating ice such as this and sea ice—ice formed directly from frozen seawater—provides platforms for seals and seabirds to rest, sunbathe and catch fish. 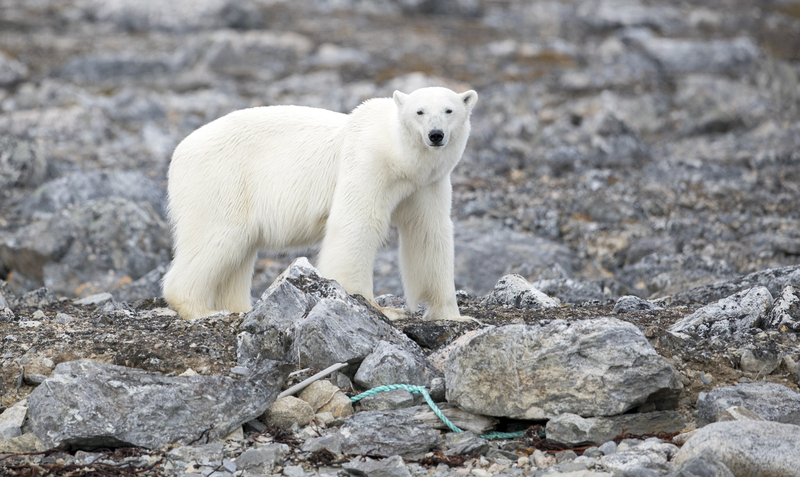 Polar bears, the Arctic’s top natural predator, rely on sea ice to hunt seals. Of course, the sounds of icebergs also imply something more sinister: melting. 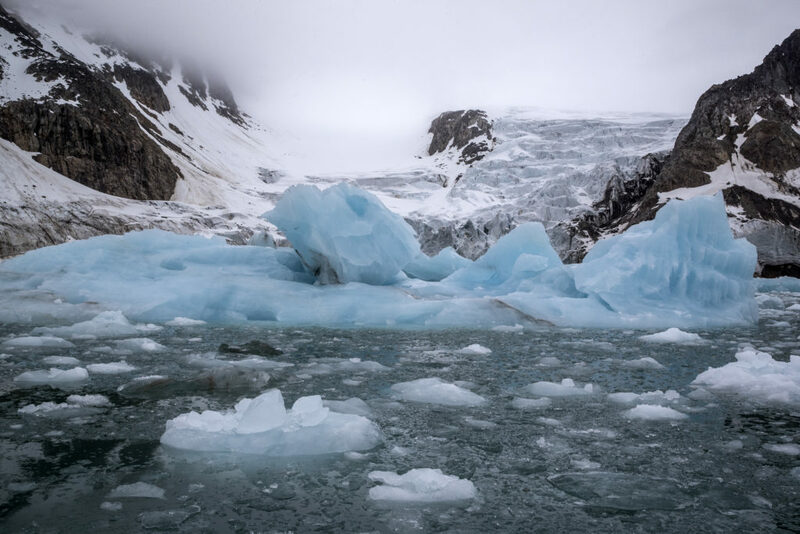 As global temperatures warm, sea ice and glaciers are already vanishing at unprecedented rates, and melting is speeding up. 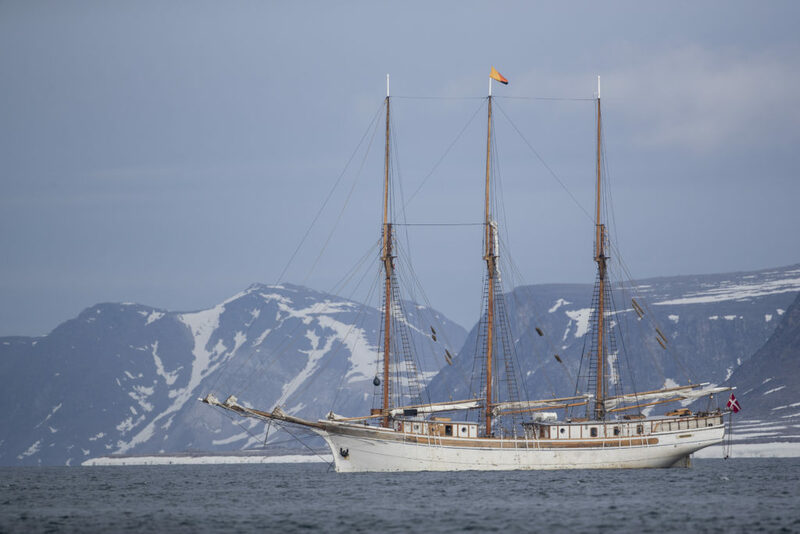 This phenomenon was a main focus of Mission Blue’s latest Hope Spot Expedition to the Norwegian Arctic, sponsored by French luxury skincare brand, Biotherm. 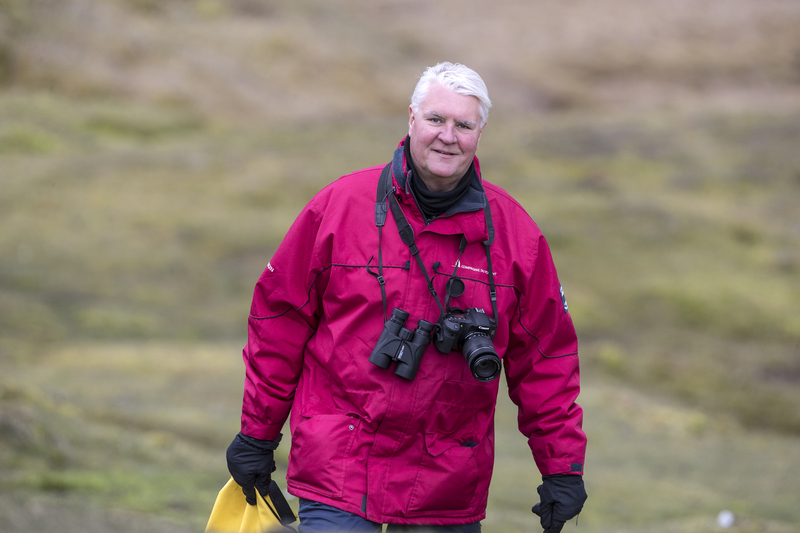 In June our team partnered with Polar Bears International and other science and policy experts to observe and document the impacts of climate change in the Spitsbergen Island Hope Spot—a remote area within the Svalbard Archipelago located between 78°-80° north latitude, nearly equidistant between mainland Norway and the North Pole. Setting sail aboard the S/V Linden on the first day of summer, the sun never set as the expedition team embarked on a weeklong journey to shed light on the beauty, biodiversity and fragility of one of Earth’s most vital ecosystems. 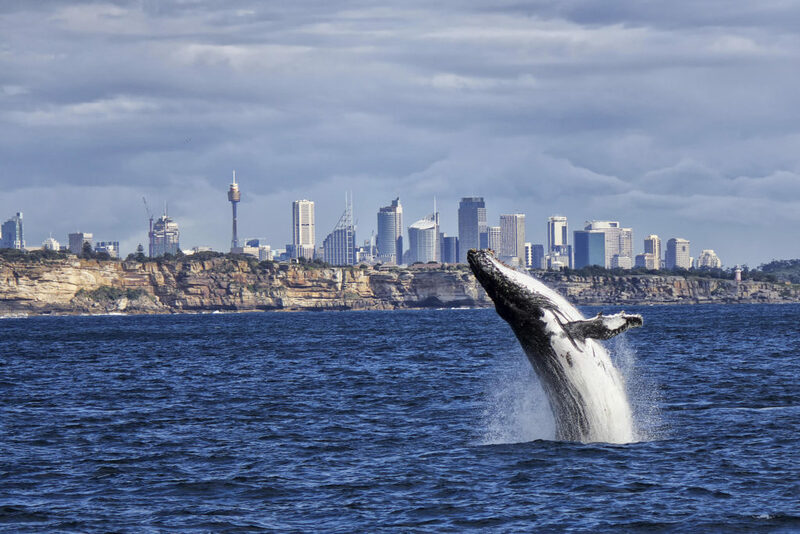 As a Mission Blue Hope Spot Expedition, this voyage was designed to create awareness, foster partnerships and ignite broad public support for a global network of marine protected areas, or “Hope Spots,” large enough to save and restore the ocean. 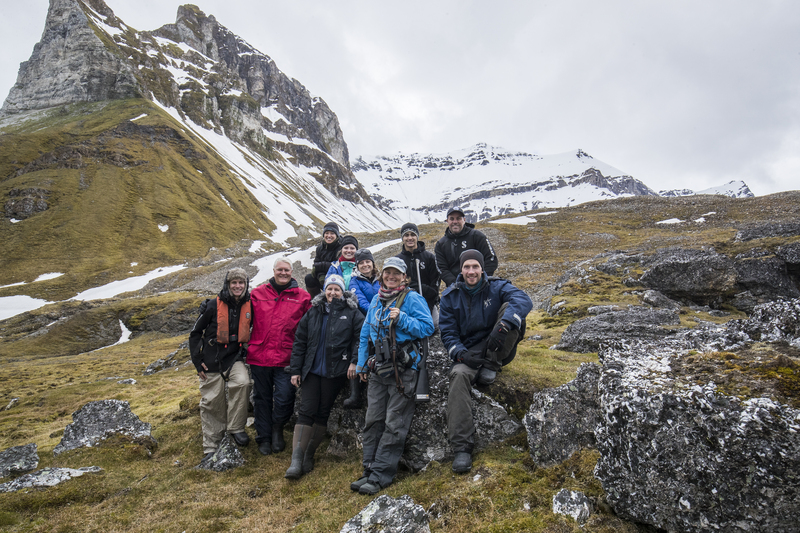 Led by Kip Evans, Mission Blue Director of Expeditions and Photography, and Mette Eliseussen, Manager and Expedition Leader for Arctic Voyagers at Basecamp Spitsbergen, the team quickly learned to look to the past for clues about how our surroundings were changing. If you visit this place for the first time, I think you would think this is the way it should be, but I remember coming here 20 years ago and I see a massive change right now. The glacier has really retreated a long way, and calving all the time. We’ve heard several big pieces fall off in the short period that we’ve been here. So there are really some significant changes. 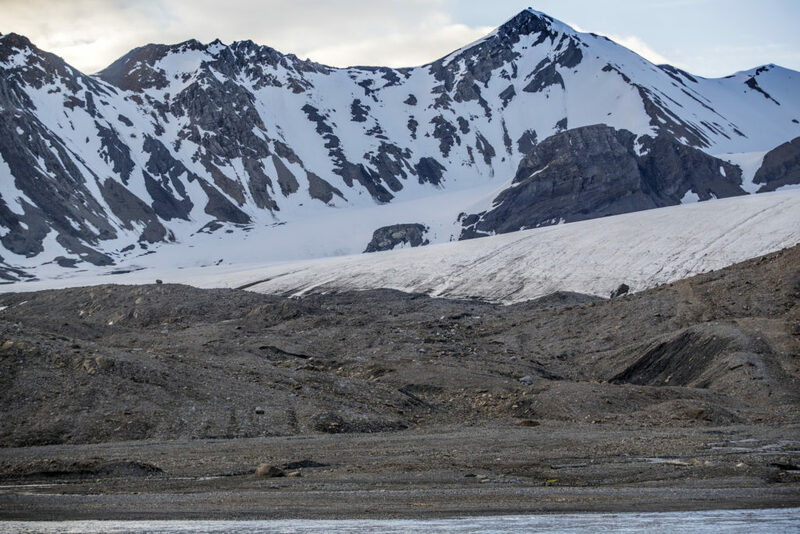 We actually have four small glaciers around us, but at one time they were probably all one big glacier… We can see here on the mountain behind us how much the glacier has actually pulled back in the last, well, probably in my lifetime, which is about 50 years. So these types of changes are happening all over the Arctic right now, but particularly here in Spitsbergen they’re very fast. 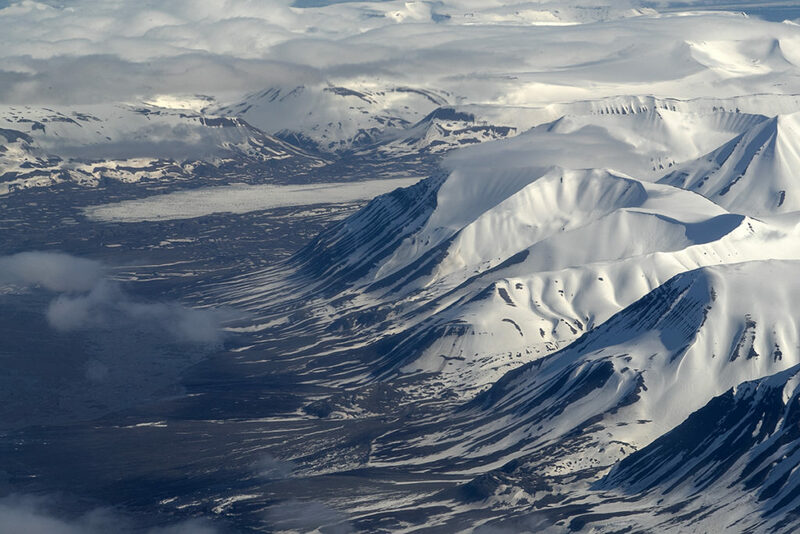 The Svalbard Archipelago is home to a relatively high diversity of species compared to other Arctic regions due to its habitat variation and other unique environmental factors. 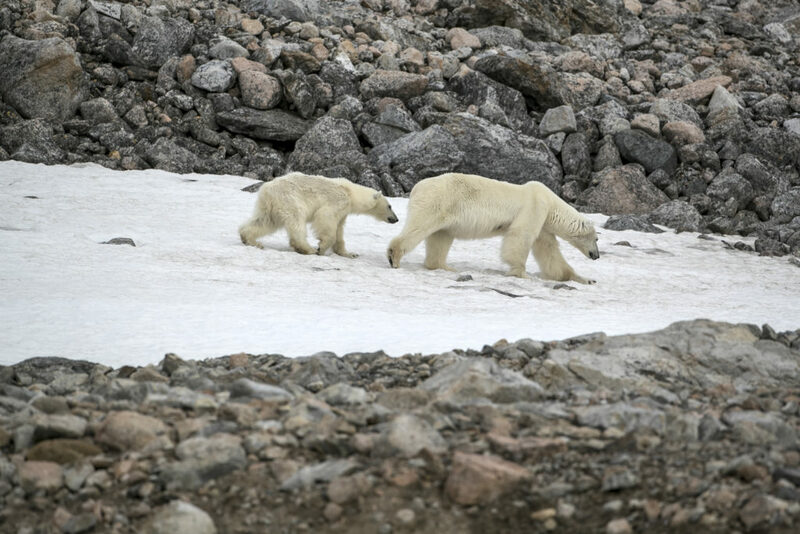 Spitsbergen shares a common polar bear (Ursus maritimus) population with the rest of Svalbard and nearby Franz Joseph Land. These bears prey on a variety of seal species including bearded (Erignathus barbatus), harbor (Phoca vitulina ssp. vitulina) and ringed seals (Pusa hispida ssp. hispida). 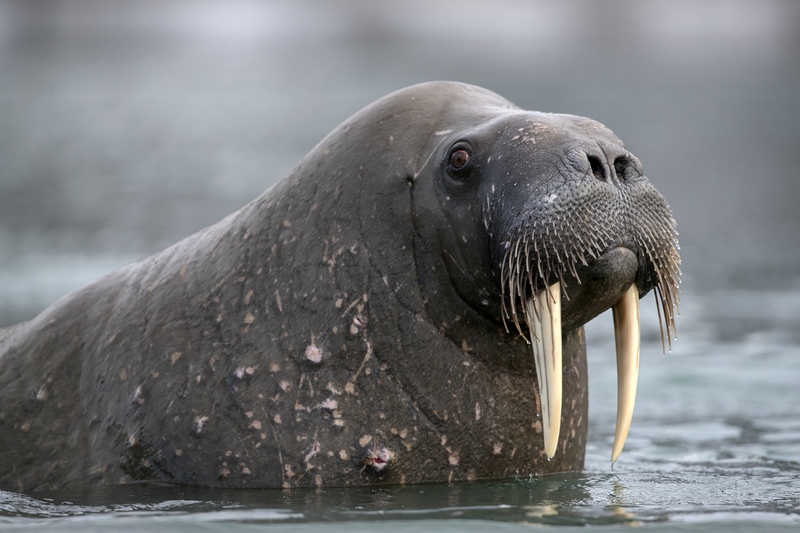 Walrus (Odobenus rosmarus) feed on shallow water mussels and other invertebrates from beaches during summer, but rely on shallow shelf ice from which to forage during the winter. This shelf ice is moving farther offshore with warming waters, making it less accessible to walrus. 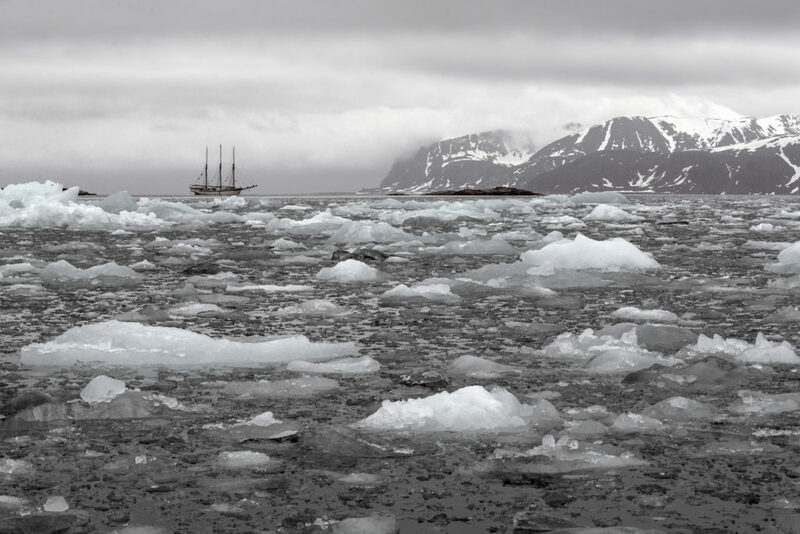 Dutch whalers used Spitsbergen as a base for 200 years until they and other whaling countries moved elsewhere in the Arctic in the 1820s. 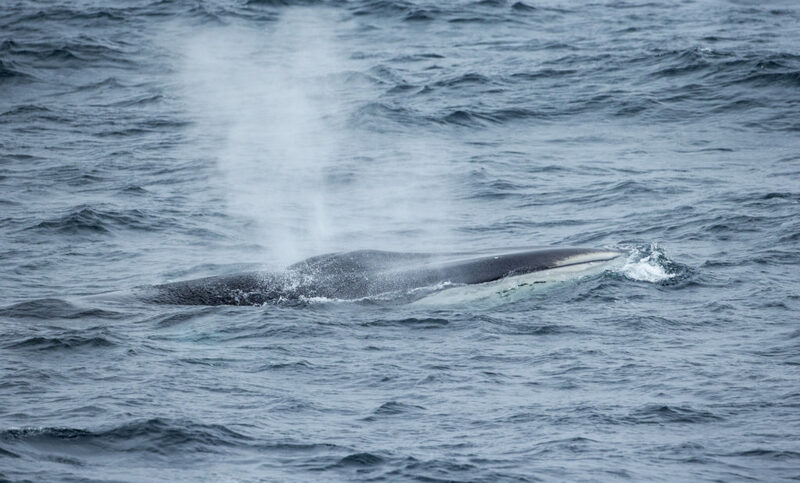 Our team was fortunate to spot a fin whale (Balaenoptera physalus), which is still endangered. 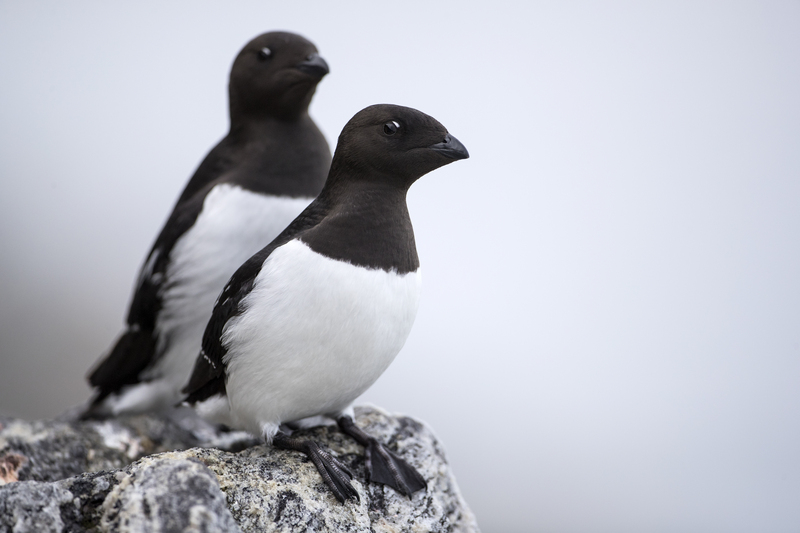 About 30 mostly migratory bird species are found on the island, including little auk (Alle alle), northern fulmar (Fulmarus glacialis), thick-billed murre (Uria lomvia) and Atlantic puffin (Fratercula arctica). 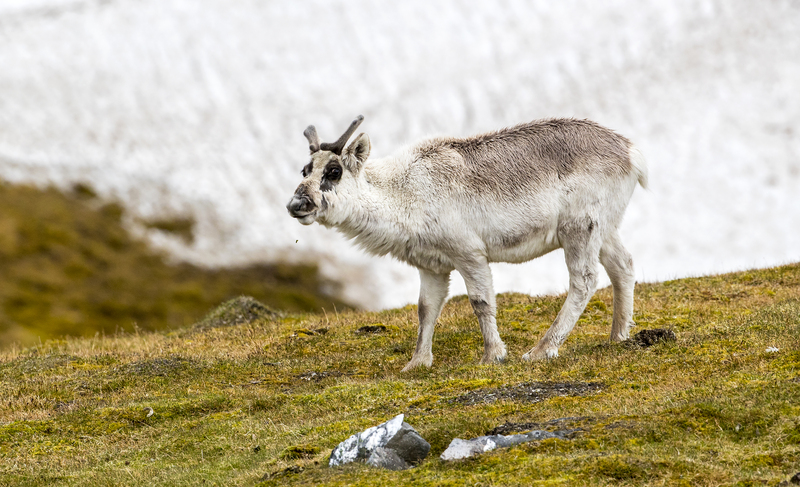 Reindeer (Rangifer tarandus) populations are shrinking because less snowfall will restrict foraging opportunities by changing ice sheet distribution on land. 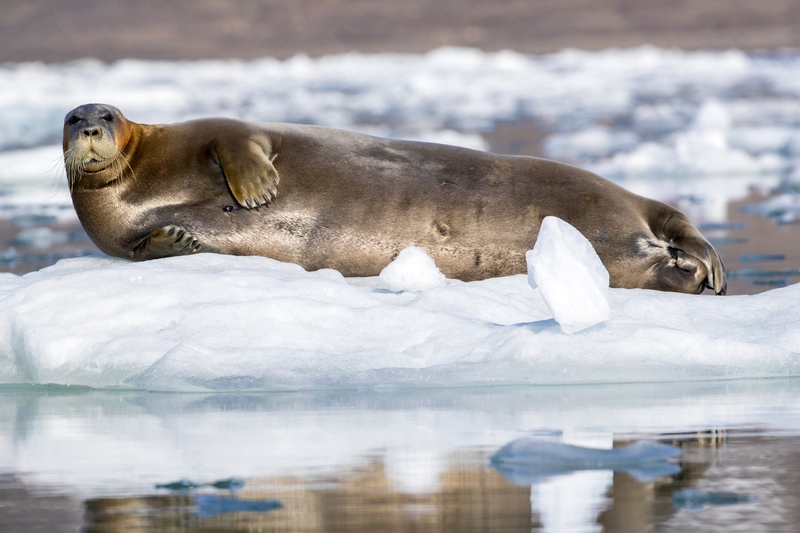 The polar bear, walrus, Atlantic puffin and reindeer are all listed as Vulnerable on the IUCN Red List of Threatened Species. 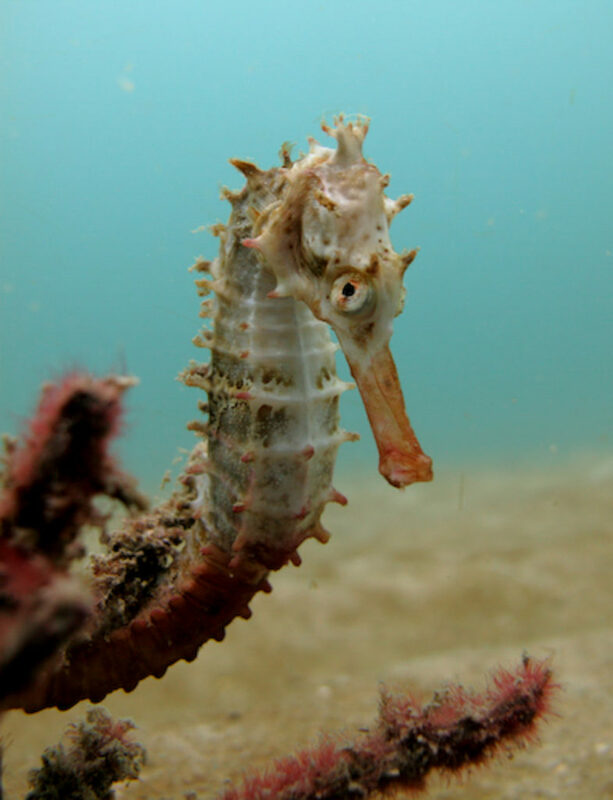 [Species] will try to shift the habitat towards the cooler climate that they are used to. 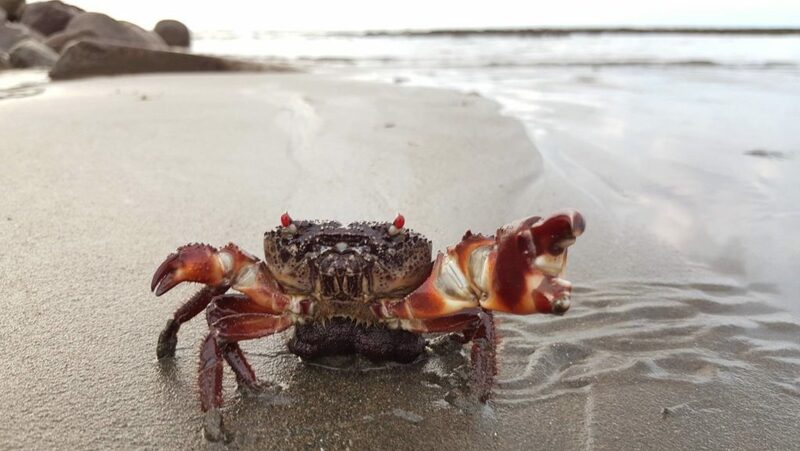 But of course that only works for a certain amount of time because then there’s just no north anymore… So that means that their habitat is just shrinking and shrinking and eventually they get outcompeted by other species. 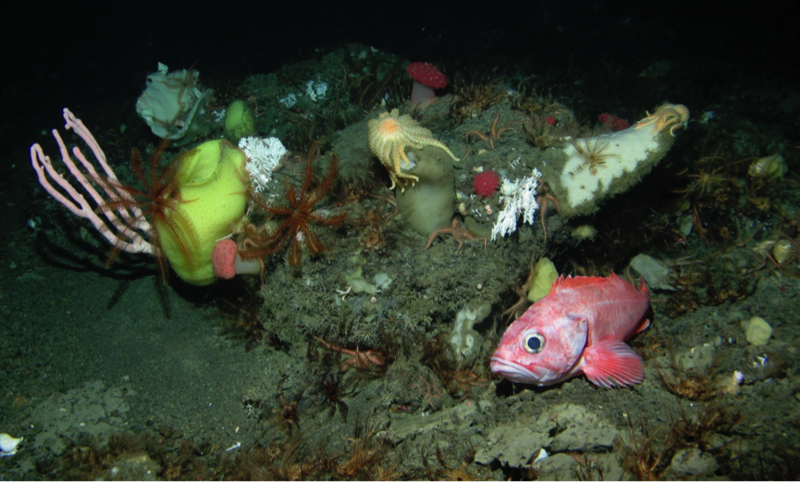 We see more and more Atlantic species come into this region that formerly was dominated by Arctic species. And this is true for not only fish but also the zooplankton community. And of course the retreat of the sea ice has a lot to say with when [algal] blooming starts, and so the whole system is basically changing to a more open water Atlantic type of system. 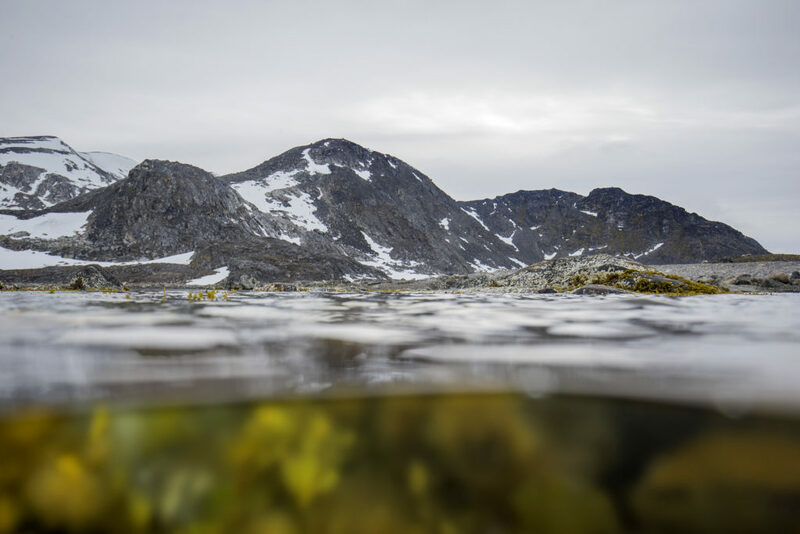 As waters warm, ice melts and species distributions shift throughout the food web of this precious ecosystem, the Norwegian Government is intent on protecting it. 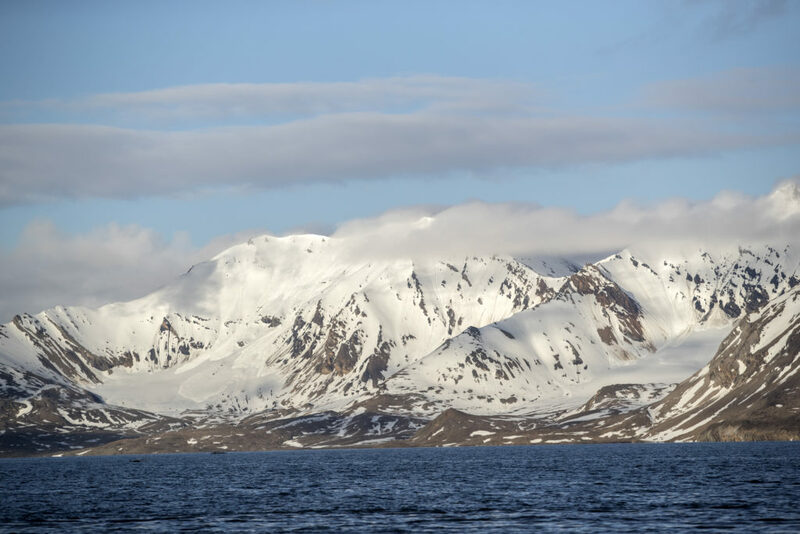 Sixty-five percent of the total landmass of Svalbard is protected, as is a whopping 85 percent of the territorial waters out to 12 nautical miles. 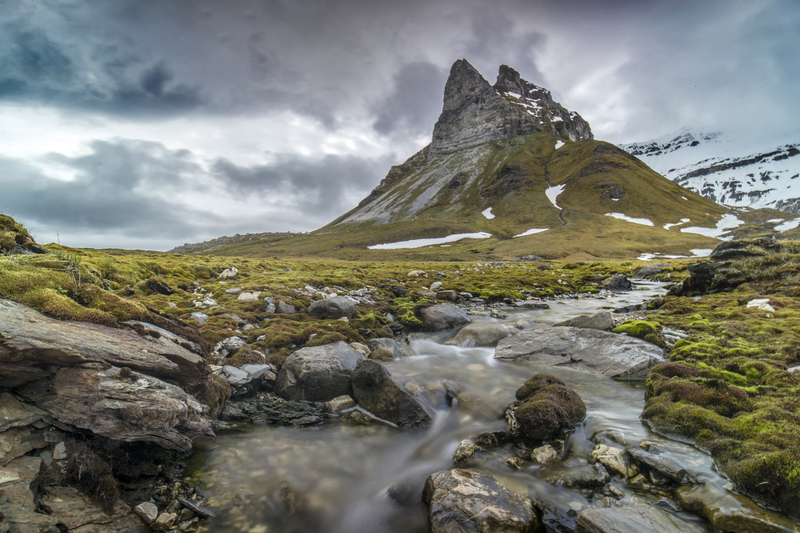 The Svalbard Environmental Law, passed in 2002, enforces 29 protected areas. 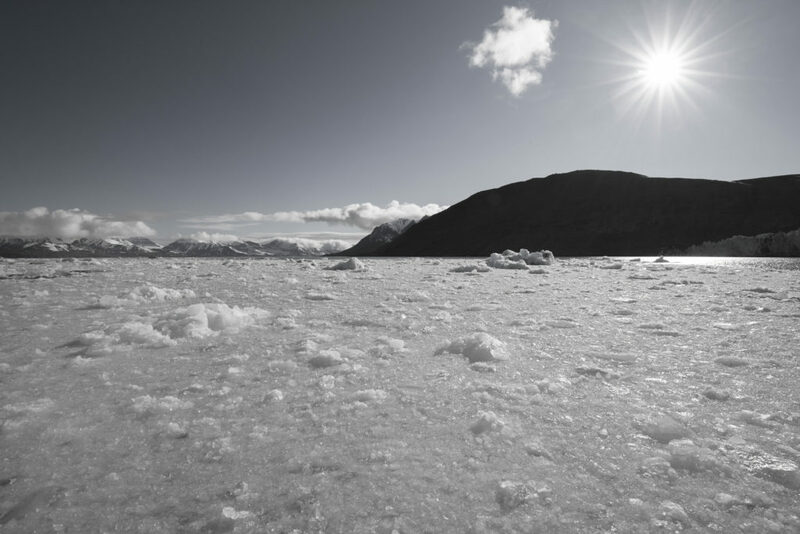 Unfortunately, despite these noteworthy efforts, climate change doesn’t heed borders. “I think Norway is doing a good job,” says Leopold. “However,” he continues, “there are certain areas where it could be improved, and one of them is certainly oil and gas exploration. 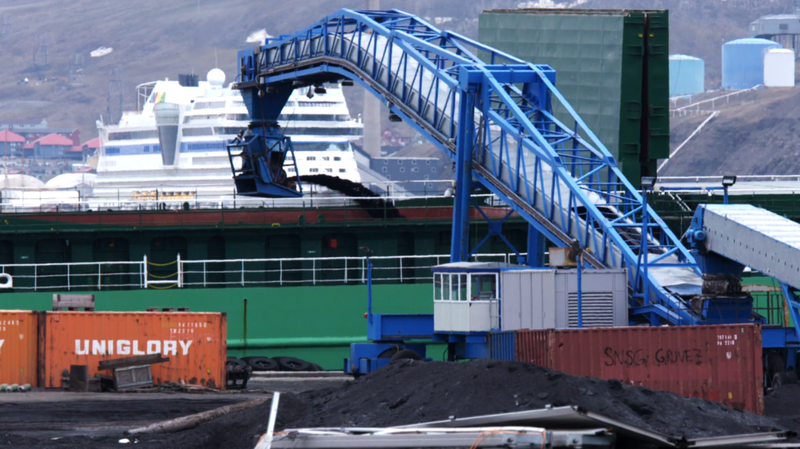 That is sort of an untouched topic in the government.” Norway is one of the world’s top ten biggest fossil fuel exporters despite the country’s commitment to cut emissions and comply with Paris Climate Agreement goals at home. There’s no doubt that these are very vulnerable areas, and even with the climate shifts we see now, where we’re opening up new areas to drilling, we still need to recognize the fact that a small accident can have very dire consequences. A big accident like what we saw with Macondo Deepwater Horizon would be absolutely devastating for large parts of the Arctic for generations to come. So we really need to look at, do we need this hydrocarbon? What is the Norwegian policy anyway when it comes to hydrocarbon? On one hand, you say you’re fighting climate change, but on the other hand you’re pumping hydrocarbons like there’s no tomorrow. 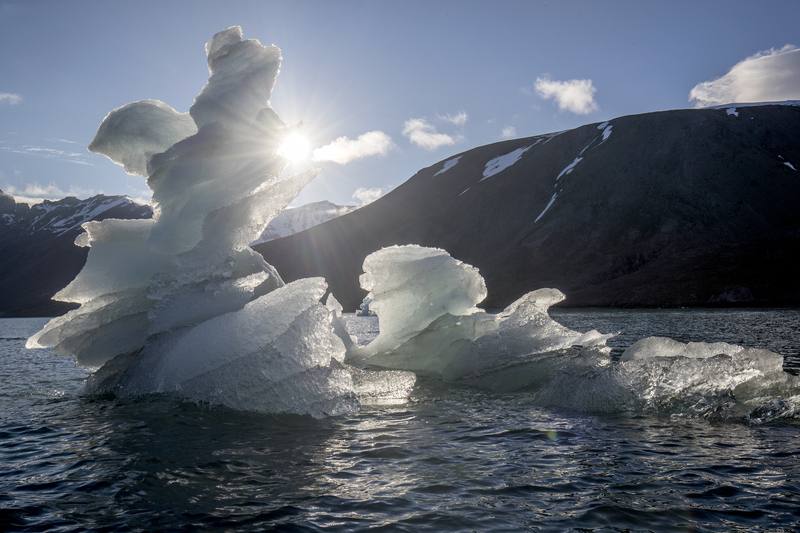 Of course, the Norwegian Government alone cannot mitigate global warming enough to save Svalbard’s icy ecosystem from looming changes—but it can help. 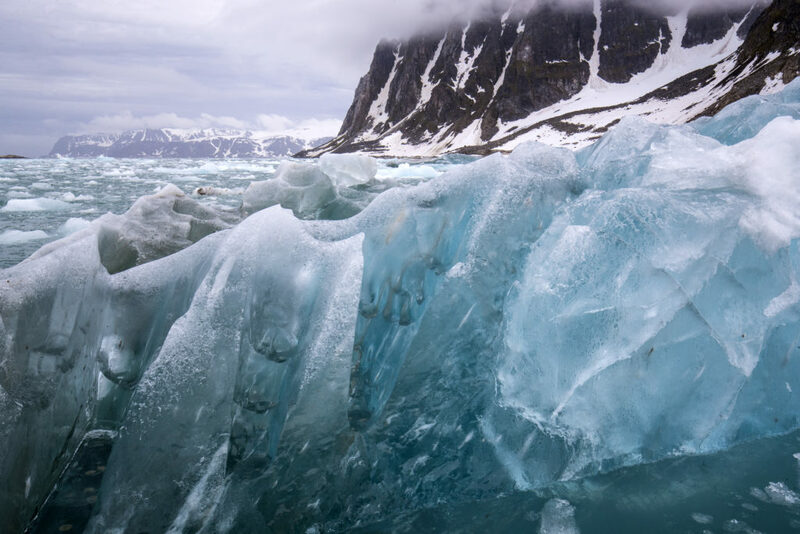 By exporting ten times more carbon than it emits, Norway plays a key role in numerous countries’ abilities to uphold their commitments to the UNFCCC Paris Agreement. As we sat in quiet contemplation, another iceberg exploded into existence in the background. We all turned to spot it, but all we could see were ripples in the water. Special thanks to Biotherm for sponsoring this Hope Spot expedition. Thanks also to Polar Bears International for their partnership, expertise and technical support in the field, to ScubaPro and Gates Underwater Products for outfitting our team, and to Basecamp Explorer, the S/V Linden and Magnetic North Travel for keeping our team safe and informed in the field. To learn what you can do to help combat climate change, check out 350.org. Everyone’s actions make a difference. Thank you SO much for your dedication and hard work, saving species and ecosystems I our blue oceans! 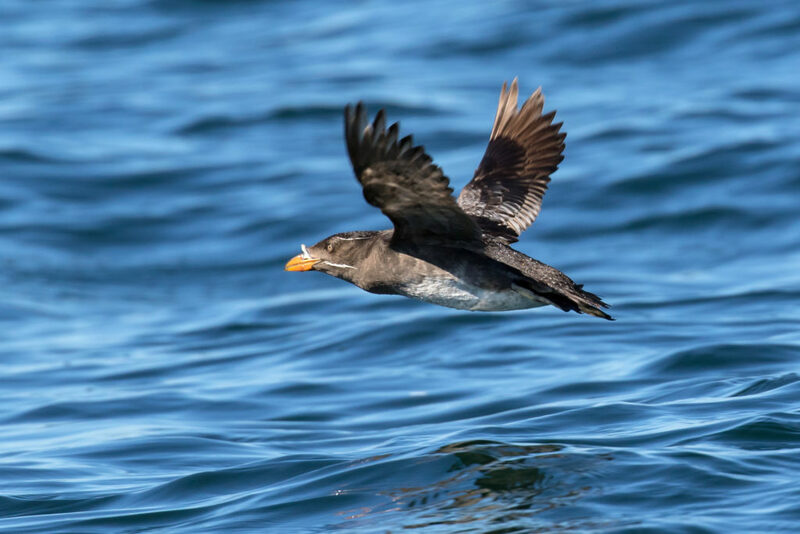 It is my fervent prayer that the people of the world will all very soon recognize and respect the importance of saving species, ecosystems and reducing the amount of greenhouse gases entering our atmosphere and oceans! Thank you SO much for your dedication and hard work, saving species and ecosystems I our blue oceans! It is my fervent prayer that the people of the world will all very soon recognize and respect the importance of saving species, ecosystems and reducing the amount of greenhouse gases entering our atmosphere and oceans! I have admired Dr. Sylvia Earle’s work for decades now, and support Mission Blue!